I've waited so long to say that our bathrooms are done. And now that they are 'done,' it's sort of a let down. Not because they don't look nice, because I think they do....but they are far from where I'd like them to be. At this point (house goes on the market tomorrow!) we are just calling things good and making everything look as nice as possible. 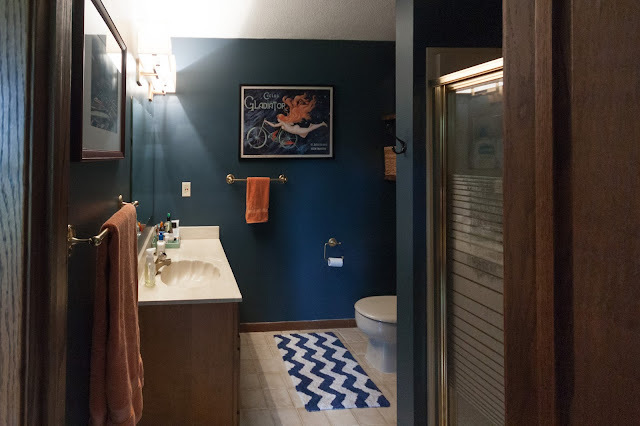 First up, some before and after photos of the navy master bath. I definitely regret painting the bathroom this dark color, but only because I know this will be a very hard color for most buyers to love, and I didn't realize we would be moving when I made this decision. I hope to make it stylish enough that they would overlook it, we'll see if I succeeded. The country cabinet had to go. It was just awful and dated and no amount of paint or styling could make it better. Plus, the shelves inside were fixed and were much to short to put anything over 8 inches high inside. The open shelves consist of basic building lumber 2x10s cut to the exact width of the toilet alcove. They are just pine, nothing fancy. Rounded edges. 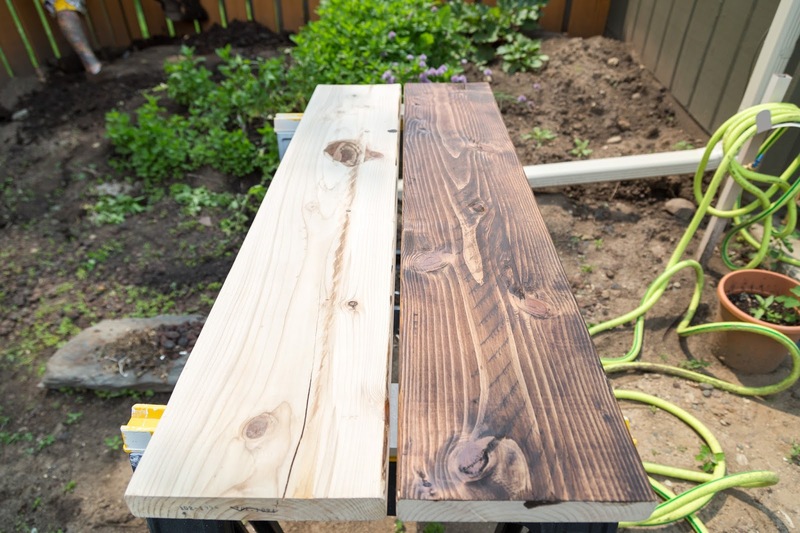 I cut them with our miter saw, sanded them well, and stained them with a mixture of our floor stain and a lighter one. I finished them with several coats of my absolute favorite finish, Deft spray lacquer in Semi-Gloss. I get mine at Ace hardware and I love it! The brackets are antique brass in an arts and crafts style from Van Dyke's restorers. I like the brackets, but the finish is a little too 'antique' for my taste and looks a bit more old fashioned than I wanted. It also seems they increased the price, since I only paid $13.50 each. 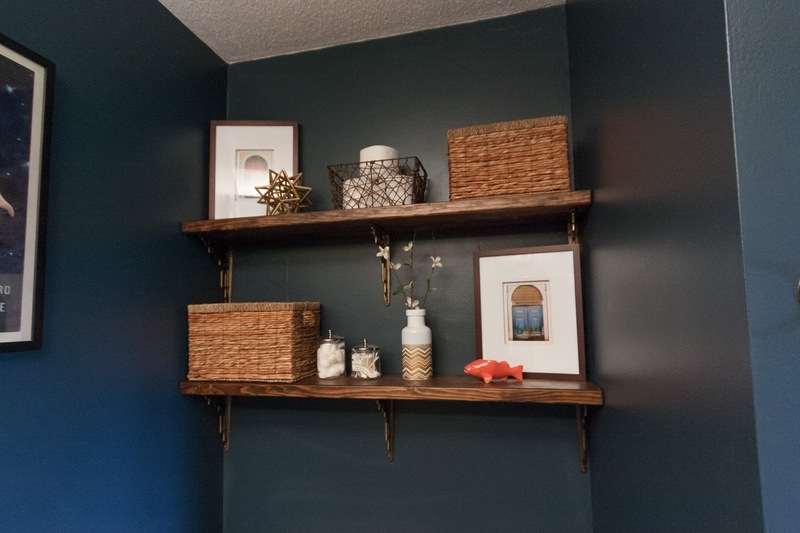 The baskets and much of the décor on the shelves is from Hobby Lobby, half off of course! 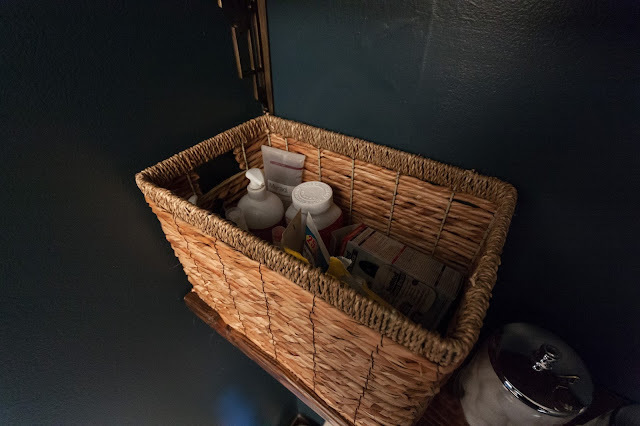 My only requirements were baskets that weren't more than 9 inches deep and tall enough to hide my essentials. These fit the bill, and they had a large size where I could put one on the floor and roll up towels inside. 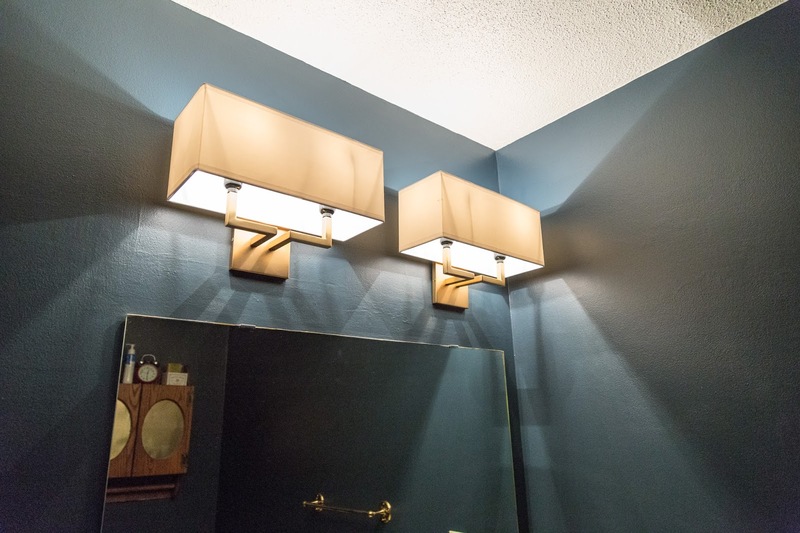 The vanity lights make a huge difference in here. I love the new lights! 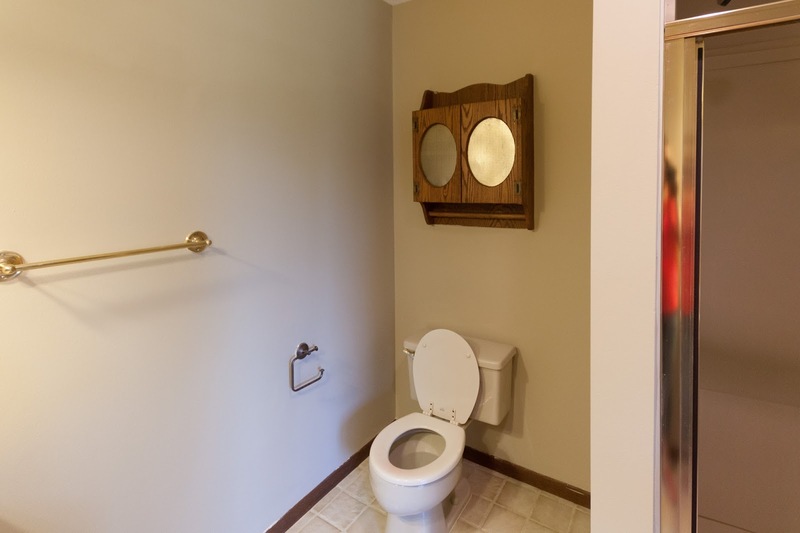 I only wish I could've added a can light above the toilet and in the shower. But, it wasn't worth it to spend more money in here. 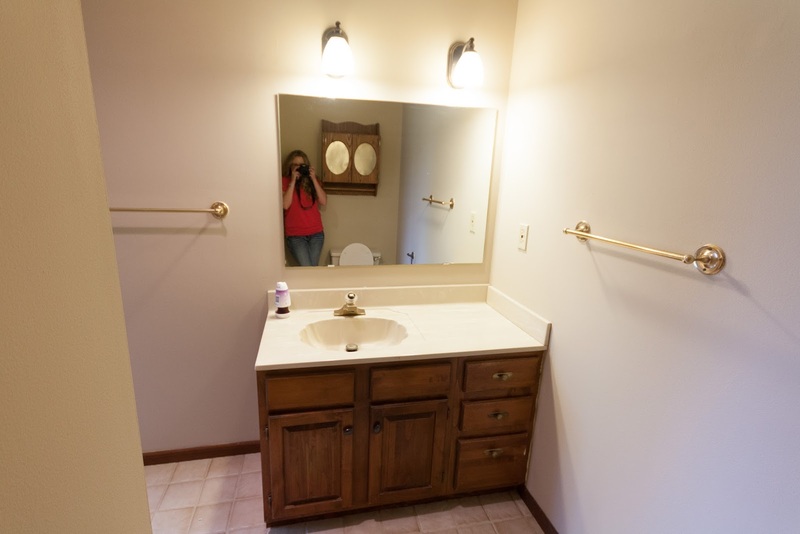 Vanity area before. 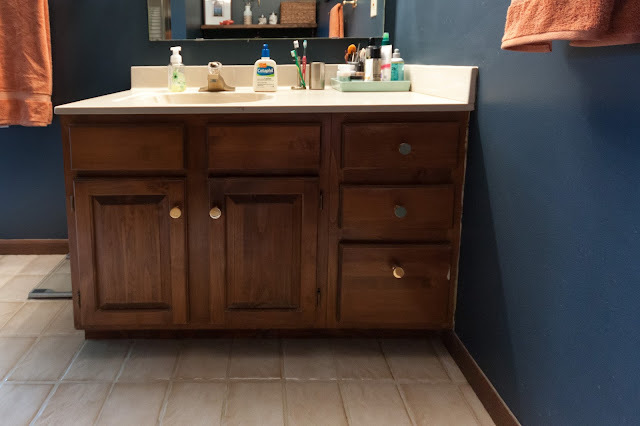 Not much changed here, the mismatched handles were replaced and the lights are replaced, but the mirror is the same as is the vanity and the awful seashell counter. Sorry for this truly bad photo, but you can at least see the brass knobs I got. I don't love them, but they are better than before. 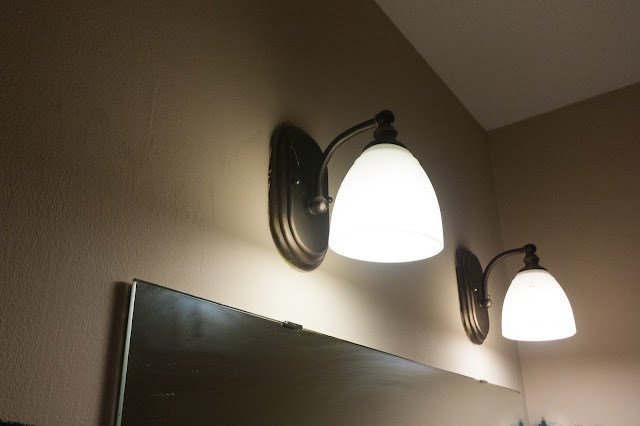 I would've loved to frame out the mirror with matching wood, but I just don't care much anymore! Overall, I think it looks nice and is a decent improvement over the previous look. I will share the main hallway bathroom tomorrow, I promise! I really like the dark paint! Sara!! That looks awesome! 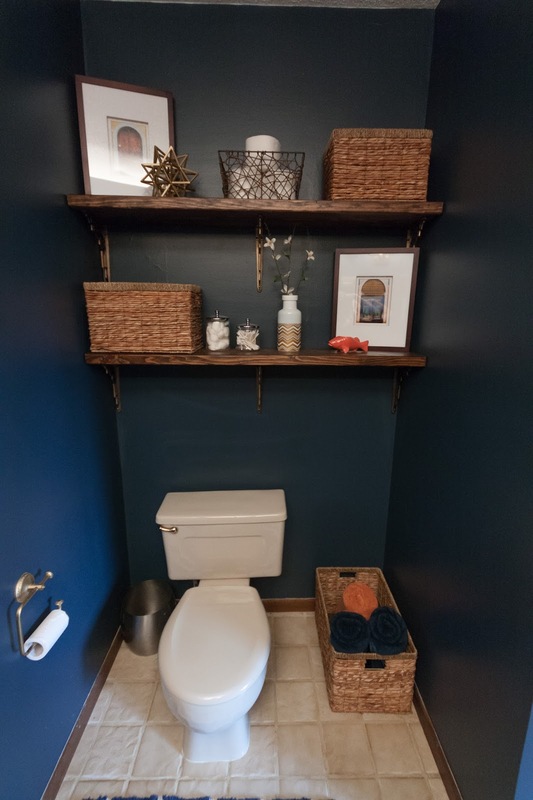 I'll admit I had some misgivings about the dark paint (even though I have almost the same color in my powder room), but I think it makes the room look super classy especially with the wood (which can be hard with wood trim!). I hope the buyers love it!! Good luck with the house. Can't wait to read about your next house adventures. I LOVE that dark color!!! I think the accessories and styling you chose make it look even more awesome too. It really looks great - I don't think it will turn people off too much. Blue is a well received color. i like the dark color! 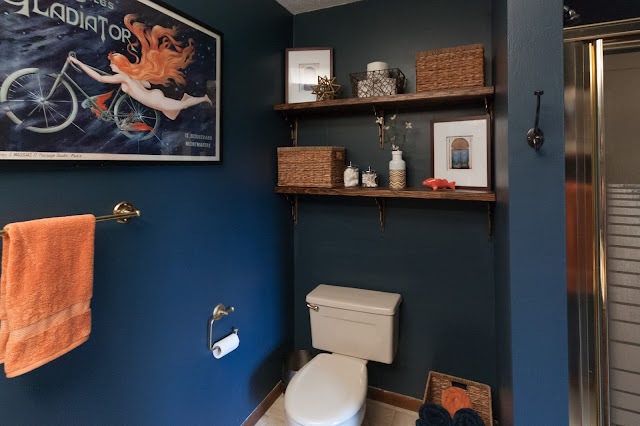 we painted a few rooms in our last house dark colors and didn't receive any negative comments about the colors when we listed it... i think it does help to make the room look more updated. This is a really great space! You made such great changes and it makes such a difference - hope someone snatches that house up asap. Count me as another who gives a thumbs up to the navy bathroom. 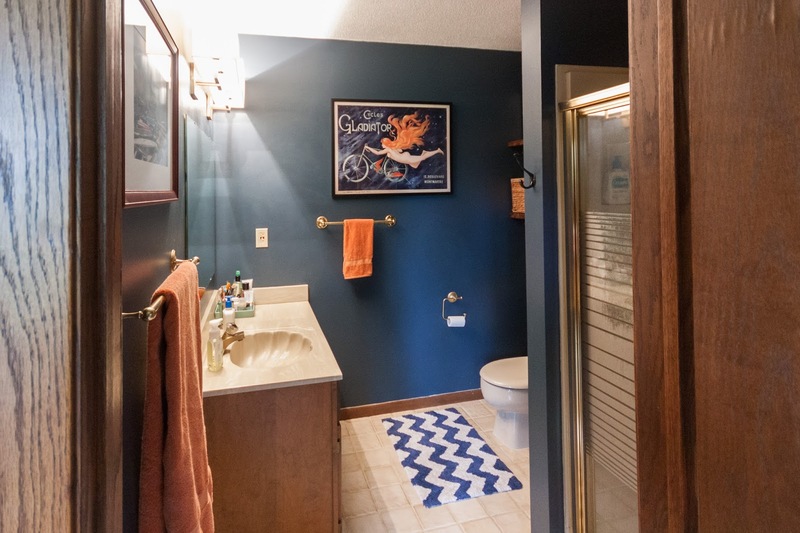 I would have no qualms about the bathroom as a prospective buyer. I really like it and the look feels very fresh. 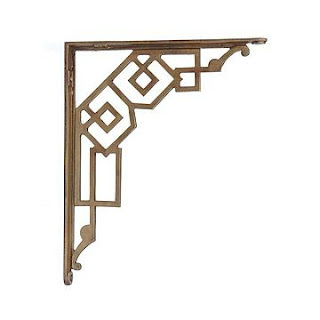 I also really like those arts and crafts brackets. They definitely add visual interest!